Many of our customers have specific questions about our services. Here are just a few of our most frequently asked questions. Why should I hire a professional pest control technician? 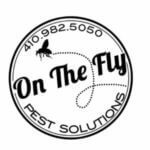 Here at On The Fly we use professional grade chemicals and are trained in their safe application methods. Many pests have built up resistance to ‘over-the counter’ chemicals and baits. We keep up with IPM’s latest protocols to ensure the safety and effectiveness of all of the products we use. On The Fly is not a ‘one size fits all’ kind of company. We specialize in customizing a treatment plan that is specific for you, your home, and your property’s needs. The price of a service can vary depending on the severity of the infestation and the size of the premises. We provide free estimates before treatment. Simply contact us via phone or email and a member of our customer service team will provide you with any quotes you request. We are always here to address any questions or concerns you may have! If you need to know more about the pest control products used during your service, On The Fly has all the EPA registered product labels for all the products we use to keep you, your business and your home free of pests. Safe, Sustainable Solutions is our motto and for a good reason! All of the chemicals used by On The Fly technicians are EPA certified and applied according to their label. Therefore, our treatments are safe for you, your children, and your pets. Does a technician have to visit my house before I can schedule a service? Absolutely not! We wouldn’t want pushy sales people coming to our house so we would never do that to you. You can get a quote and book your service via email or phone. For most common infestations you should start seeing an improvement within 1-3 days. It can take up to 10 days for an infestation to be completely eradicated. Why was the technician focusing on the exterior of my home when the problem is on the inside? Pests come from the outside! Instead of just treating the symptoms, On The Fly aims to fix the problem at the source as well. Trimming bushes back and sealing up entryways will prevent any future pests from getting into your house. What if I still have a problem after my initial treatment or in between quarterly services? On The Fly guarantees your satisfaction. If there is ever a problem after one of our treatments we will come back at no charge until your home is free of pests! Why should I keep my contract current when I don't see any pests? You are not seeing pests because On The Fly is doing their job! Our four seasons approach for our residential customers is designed to solve your pest problems at the source, preventing them from entering your home. All of our EPA registered product labels are listed below for your convenience.